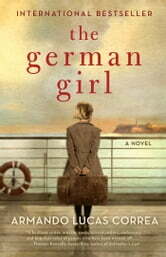 **A young girl flees Nazi-occupied Germany with her family and best friend, only to discover that the overseas refuge they had been promised is an illusion in this “**engrossing and heartbreaking” (Library Journal, starred review) debut novel, perfect for fans of The Nightingale, Lilac Girls, and We Were the Lucky Ones. I wasn't sure at first; found it hard to get into. Once I really sat down qnd really read, it was good. It is very well written and I highly recommend this book. I had to keep reading this even though it was difficult at times! Story comes to life through two sets of eyes, young and old. Feeling very sad after finishing this book. Interesting and informative but tragic as well. So many lives wasted. I found the story rather repetitive and too long. It was difficult to finish. I enjoyed this book. I like historical novels that have an interesting story based on actual facts.